Over the weekend at SXSW, Google released a new customization survey called #myAndroid that attempts to help get you the ultimate custom home screen setup. Instead of spending hours sifting through Google Play pages for icon packs, launchers, and wallpapers, Google’s new tool simply asks you a few questions before handing over up to 3 different setups you might like. 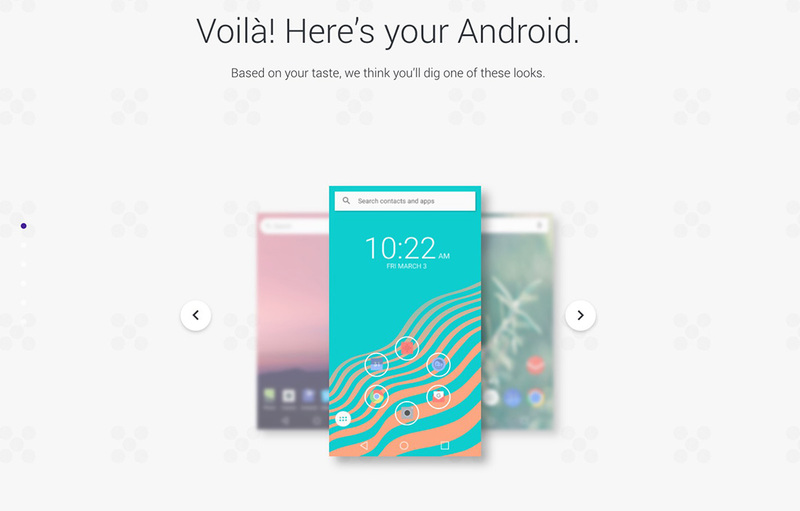 After you get through the 20 or so questions about liking flat, abstract, vintage, muted, or colorful things, Google will then show you three setups that include a launcher, wallpaper pack, icon pack, widget, and keyboard. To get a feel for the types of setups they’ll show, you can view mine right here. But you’ll see Zedge Wallpapers, as an example, along with Nova Launcher or Smart Launcher 3 and some icon packs you may have never heard of. It’s a pretty slick tool for those who just want someone to hand over a complete setup without much work. If you happen to be in Austin this week for SXSW, look for Google’s #myAndroid truck. It’s highlighting the new tool, but it also features “head-to-tire” LED lights that you can play with. Google Carrier Services Update Showed Up Today - What is It?